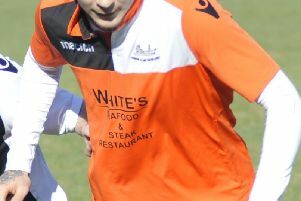 Bexhill United Football Club has signed a former Eastbourne Borough forward to help during the season run-in. The Pirates have brought in Andy Atkin on a dual-registration basis with East Sussex League Premier Division title hopefuls Bexhill Town. Atkin will play for Town in their final league fixture of the season at home to Robertsbridge United this coming Saturday. After playing for Little Common and Eastbourne United AFC, Atkin joined Conference South side Borough in March 2005. He went on to make more than 200 appearances for the Sports, scoring a host of goals. The big target man helped Borough achieve promotion to the Conference Premier in 2008 and scored a hat-trick of headers away to Woking in January 2009. Formidable in the air, Atkin went on to play for Redhill, Rye United and Bexhill United. In recent years he has played in the East Sussex League for Bexhill AAC. 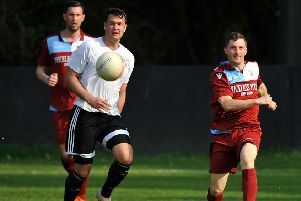 Bexhill United lie third in Southern Combination League Division One - two points behind second-placed Steyning Town and three adrift of leaders Alfold - with four games remaining.